Whether you are traveling for business or pleasure, you are always welcome at the ibis Wien City Hotel, Schönbrunnerstraße 92. All 94 rooms at the city hotel feature modern comforts, including free WIFI and air-conditioning. 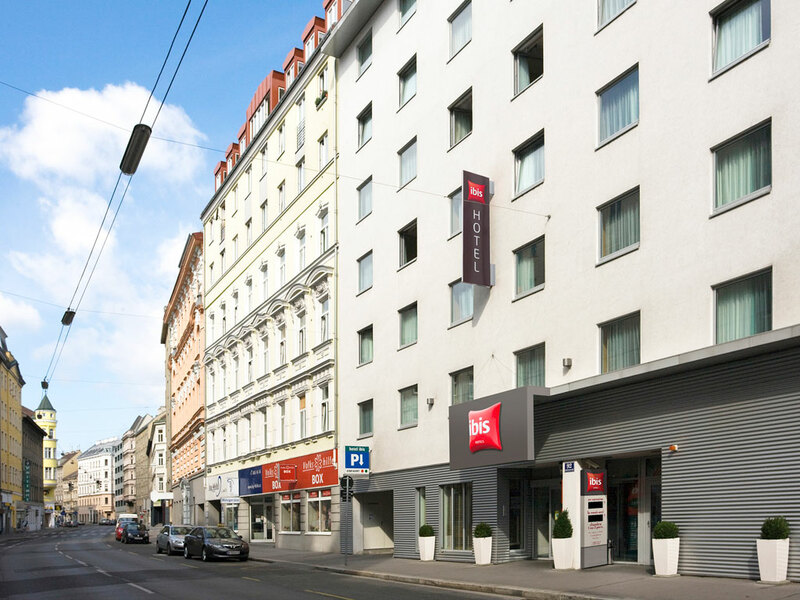 The ibis Wien City Hotel is located between two subway stations on the U4 line, which are both 5 minutes' walk from the hotel, so you can get to central locations such as Schönbrunn Palace or the Vienna State Opera at Karlsplatz quickly and easily. Enjoy a relaxing stay in Vienna thanks to the ultimate sleeping comfort offered by Sweet Bed by ibis beds. All 94 non-smoking rooms are equipped with the new beds, free WIFI and TV with a range of Sky channels.